Telugu » Cinema News » Mahesh, Prabhas, VD miss it! Mahesh Babu did cast his vote in the Telangana Assembly elections. But has he done it this time? On April 11, the 'Maharshi' star was not to be seen at the polling booth. Among the big stars, Prabhas (the 'Saaho' actor is a regular absentee) is the other one who didn't cast his vote. The likes of Vijay Deverakonda (he should have gone for at least 'NOTA', right?) too didn't use his right. 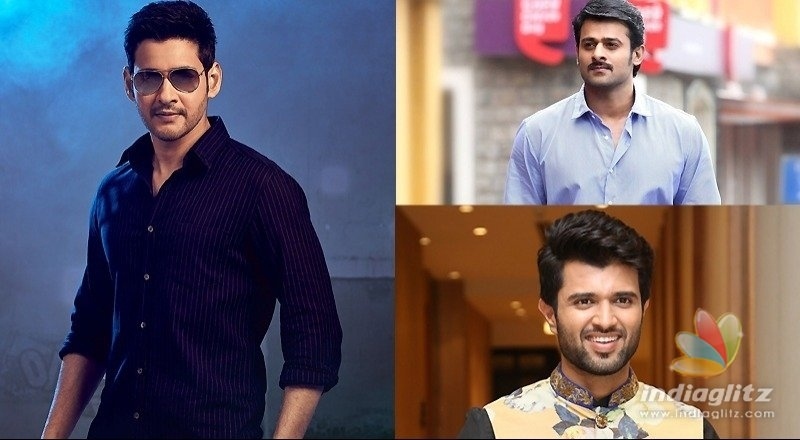 Both Mahesh and Deverakonda played CMs last year in two different films. The likes of Mahesh missing to vote is ironical for a reason. The charming actor had endorsed SEC's initiative to promote voter awareness ahead of the GHMC polls in 2016. Chiranjeevi, NTR, Allu Arjun, Ram Charan and others were there to cast their votes.